During law school, Chip Pelley worked full time as a special prosecutor at the District Attorneys' office. From the very beginning of his career, he instantly became an effective and accomplished trial lawyer. His trial teams successfully prosecuted numerous capital murder, murder, sexual assault, burglary, robbery, assault, and drug/alcohol cases. He received numerous recommendations from District Judges, County Court Judges, and the District Attorney for his excellent trial performance. Being in the courtroom and public arenas comes naturally to Chip. He has been on stage since his youth and has received numerous awards for his athletic prowess and professional leadership. Accolades such as the Pete Odom Most Valuable Player Award, multi-sport All-District awards, being named Texas Blue Chip All-American Football Player and achieving a Division I football scholarship were among his many accomplishments before pursuing a career in law. In college, Chip had the honor of captaining his football team to national rankings as a three-year starter on the defensive line. Many of his teammates went on to pursue lucrative NFL careers. However, Chip found his calling was to spend the rest of his life protecting the rights of his fellow citizens. Today, he shelters his clients with that same intense defensive mentality he used on the gridiron both in and out of the courtroom. Mr. Pelley is licensed to practice law in Texas, the United States District Court in the Eastern District of Texas, and the United States Bankruptcy Court in the Eastern District of Texas, as well as in the Supreme Court of Texas and all Courts in the State of Texas inferior thereto. He is a member of the State Bar of Texas, the National Association of Consumer Bankruptcy Attorneys, Collin County Bar Association and Grayson County Bar Association. 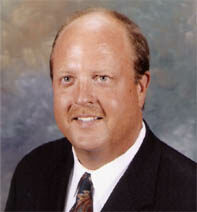 Mr. Pelley's areas of concentration include Family Law, Bankruptcy, and Criminal Defense. Mr. Pelley has successfully tried hundreds of cases and has been practicing law in North Texas for over 25 years.